Selecting playground equipment for backyard is not an easy job. 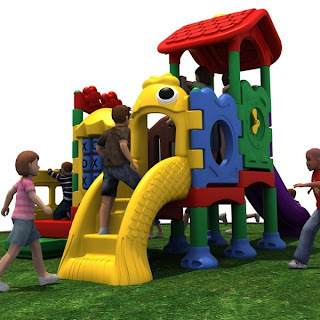 To make it simpler for you, we are here with certain things that would help you out in purchasing the right play set for your community park. There are different types of equipment like see saws, dome climbers, play house, play slides and swing sets that are hit in the playground. Before you select any for your park, you need to ensure it is made of superior quality raw material. It should be strong, sturdy and can easily withstand adverse weather conditions. Consider to buy the equipment from IPEMA certified manufacturer that defines he is engaged in selling commercial grade play sets. Also, make sure he has constructed the equipment in adherence with the guidelines defined by American Society for Testing and Materials (ASTM) and Consumer Product Safety Commission (CPSC). For the safety of kids, make sure the equipment you are opting for has requisite bars, hinges, railing and other anchors. Besides, you can install high quality mulch beneath the playground equipment. It will provide cushioning surface to kids and eliminate the scope of any injury that occurs due to falls. While looking for play sets, you can consider purchasing the one which can be customized with a wide variety of accessories to add more fun to kids' play. For accessories, playground equipment buyers can search for the sellers that offer high quality accessories at nominal prices.